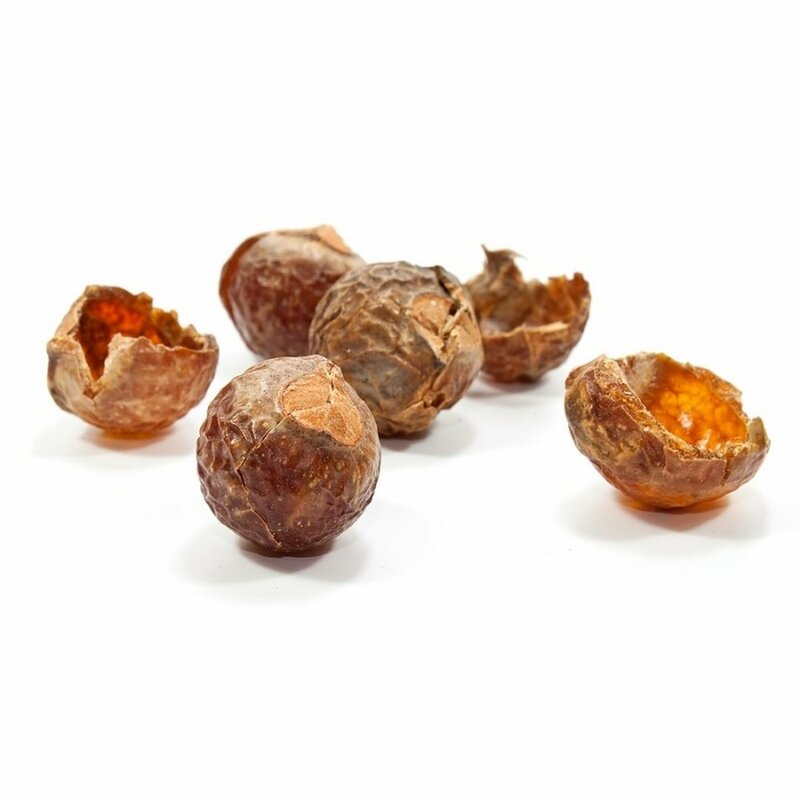 Image from Seepje, a company that markets cleaning products made from soapnuts. Ever since I heard that the manufacturer who produces my scarves simply uses reetha—otherwise known as the soapberry or washnut—to degum and scour the silk, I have been extremely intrigued by this all-natural source of soap that has been used in its indigenous Himalayan region for centuries. 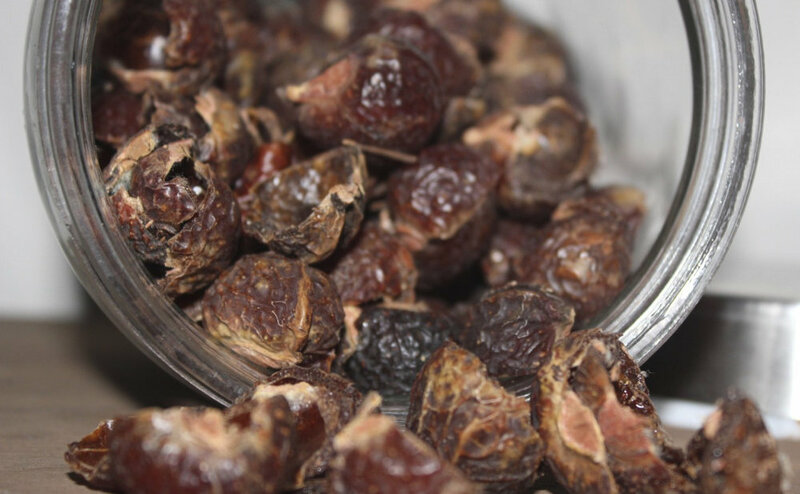 These remarkable fruits of the Sapindus mukorossi tree have an incredible variety of useful applications, and reportedly work just as well as commercial, chemical-filled products. Image from The Organic Corner. Hypoallergenic, gentle, biodegradable, and requiring no manufacturing process, the nuts are simply harvested in autumn when they fall from the tree and, after drying, are ready to be used for washing seemingly any surface. Coated in a substance called saponin, the shell of the nut is what does all the work. 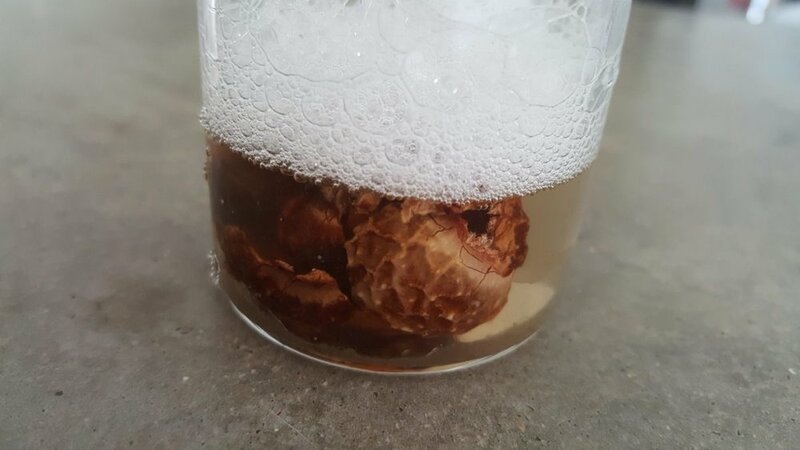 Upon activation with water, heat, and agitation, saponin produces a natural, lathering cleanser. The shells can even be dried again for reuse, and the seeds they hold can remain unharmed and ready to plant new trees. The trees themselves are highly fruitful and have long, productive lifespans. Additionally, the saponin is a natural insect deterrent, so it is an organically grown product. An image from Craftiviti of the nuts creating their soapy lather. I can’t wait to try out using them as shampoo and laundry detergent—I’ll let you know how it goes!